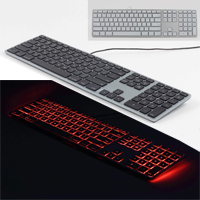 Reduced Risk of Wrist Extension - The RGB Backlit Wired Aluminum Keyboard presents a low front profile which means that there is not a significant difference between keyboard height and the work surface. 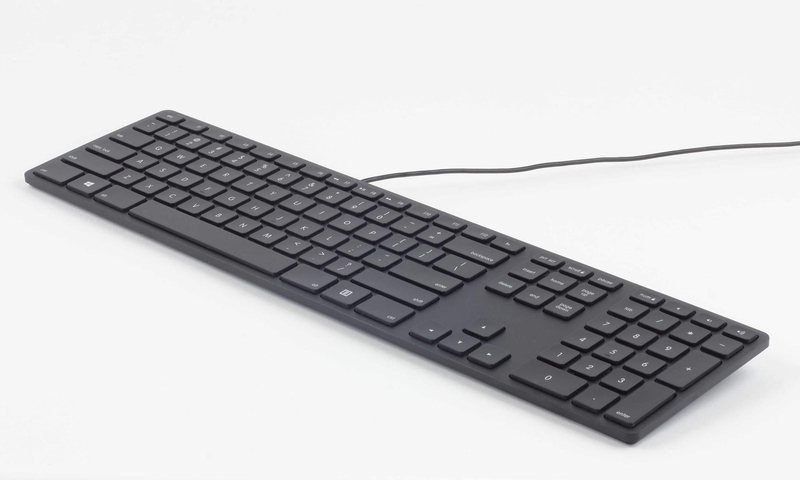 For users who "rest" the heel of their hands when keyboarding low profile can reduce the risks associated with wrist extension. Learn more about Wrist Extension. 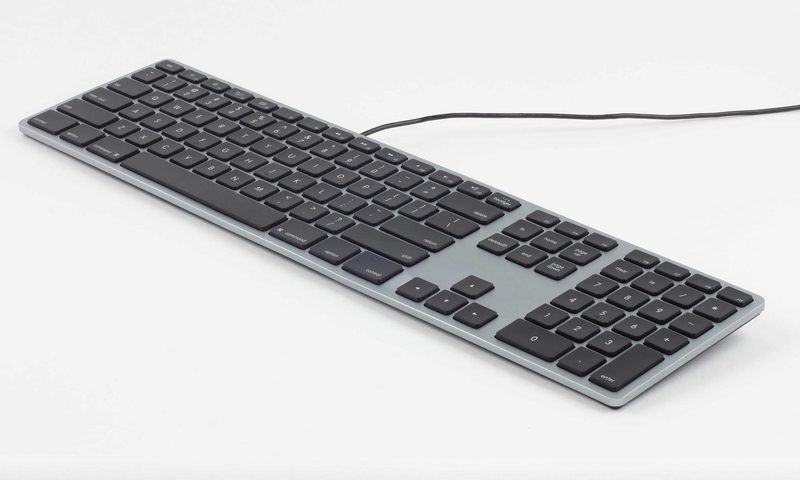 Reduced Risk of Shoulder and Back Pain - Keying on laptops requires users to position their hands unnaturally close together. This requires them to roll their shoulders in and usually also down. This puts undue strain on both the shoulders and the upper back. Extended use of devices requiring this posture can have a noticeable effect on the health of the shoulders and back. 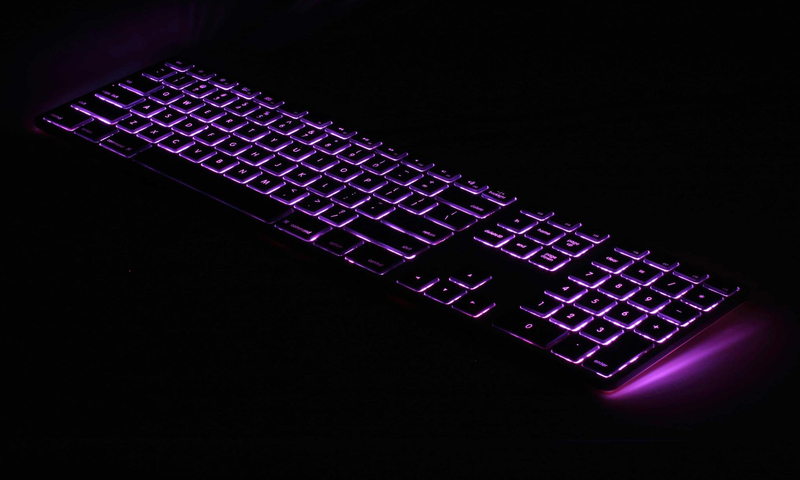 The RGB Backlit Wired Aluminum Keyboard addresses this by providing users with a means of entering data on these devices without the space limitations of the device screen. 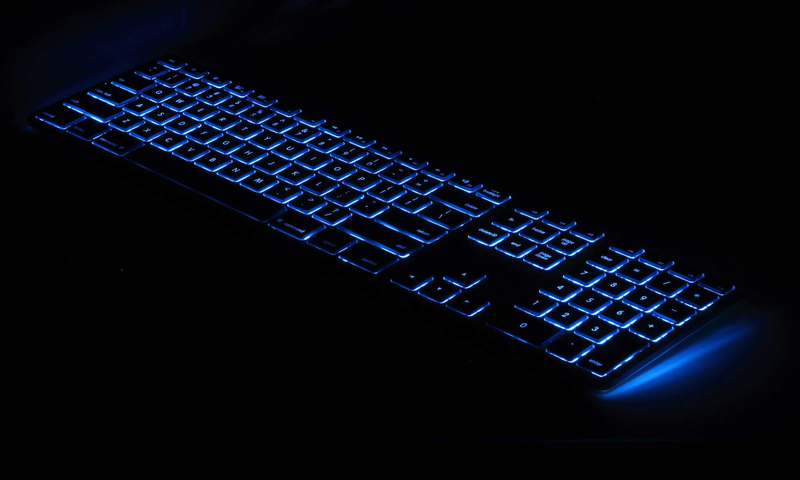 Keeps Natural Melatonin Levels at Night - Because blue-light exposure is known to negatively affect melatonin levels, changing the backlighting to less or no blue-light can help maintain healthy melatonin levels at night, so that sleep patterns are not disrupted. 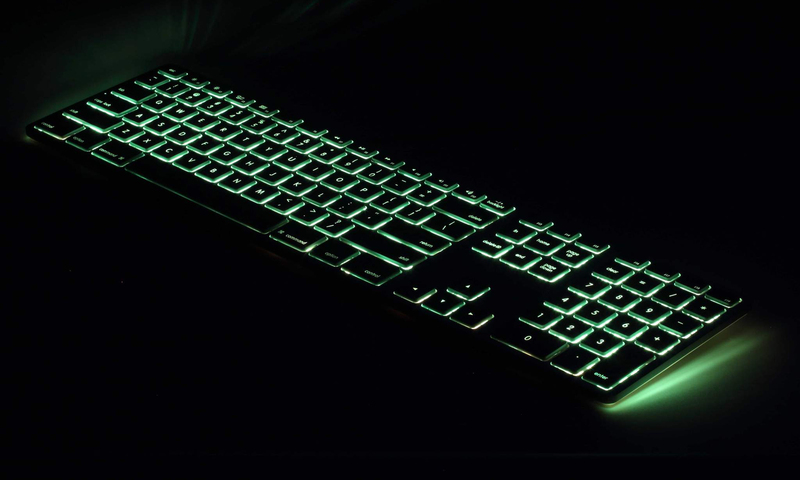 RGB Backlighting: The RGB Backlit Wired Aluminum Keyboard allows users to select the colour and brightness of the keyboard's backlighting. The continuous colour spectrum ranges from full White to softer Whites, Yellows, and finally Reds (slowly reducing the Blues for healthier night-time viewing). 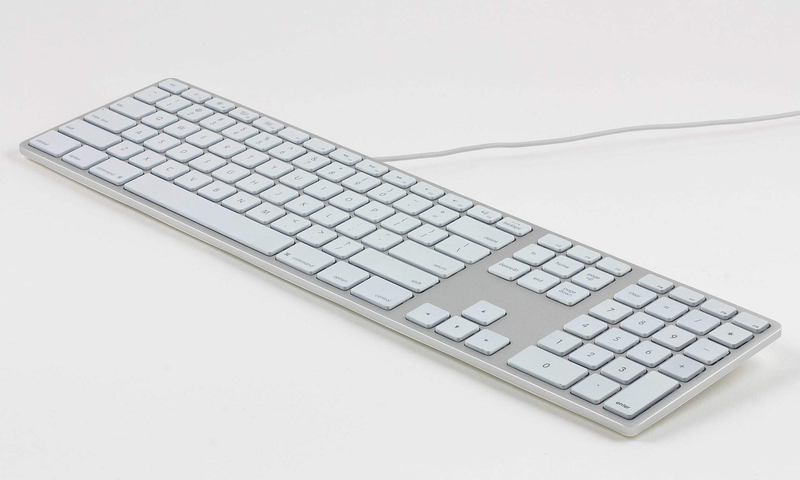 Brightness can be changed from 0% to 100% in 10% increments using the -/+ backlight key. 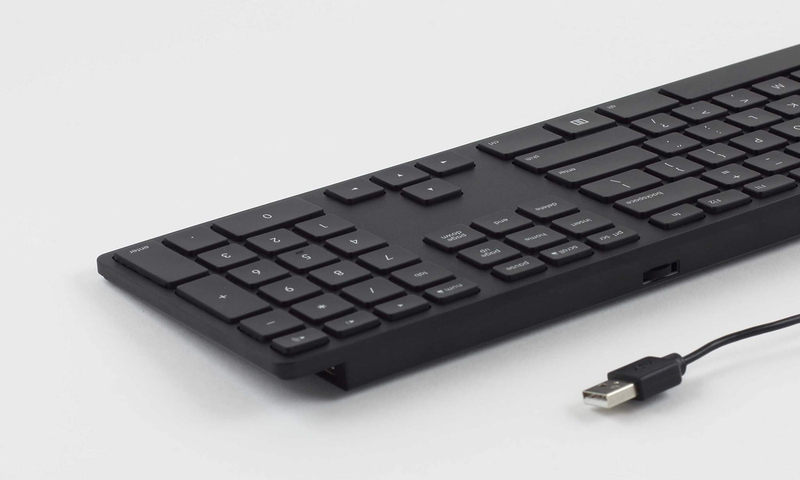 Hard Wired USB Connection: The RGB Backlit Wired Aluminum Keyboard uses a dedicated USB cable to connect to the keyboard. 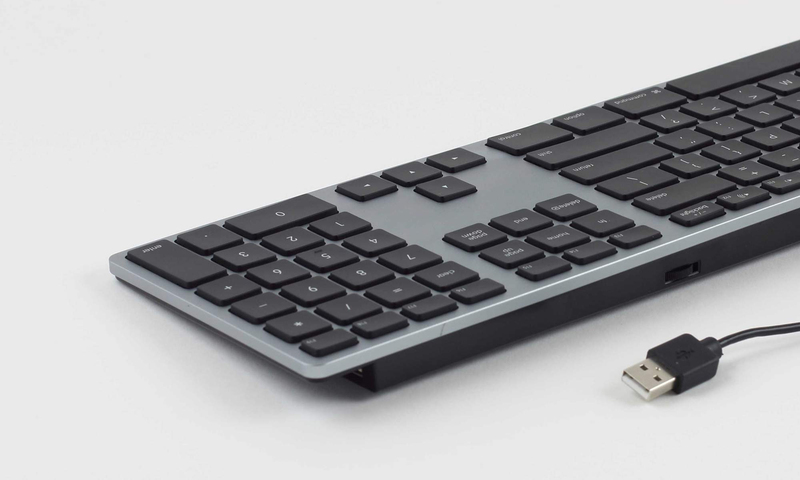 This ensures a quick, reliable and secure connection to any device. 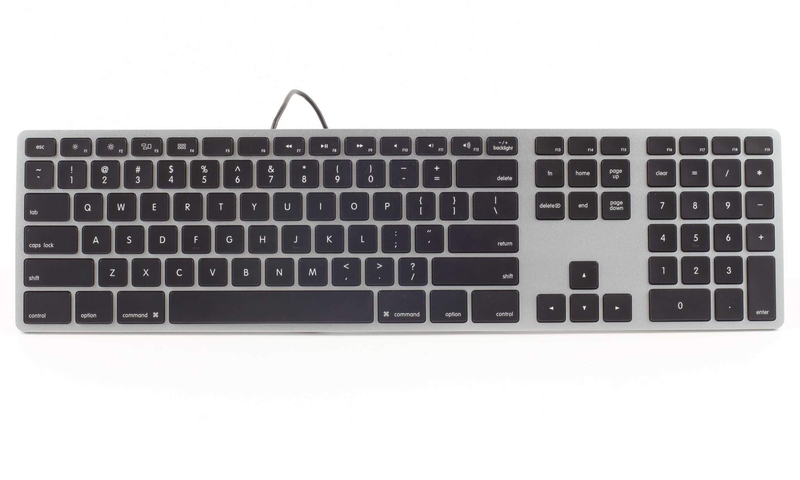 Low Profile Design: The RGB Backlit Wired Aluminum Keyboard employs a "chiclet" or "island" keycap which permits a very low profile. The profile tapers from 3/4" at the back to just 3/8" thick at the front, presenting a slightly angled profile to the user. 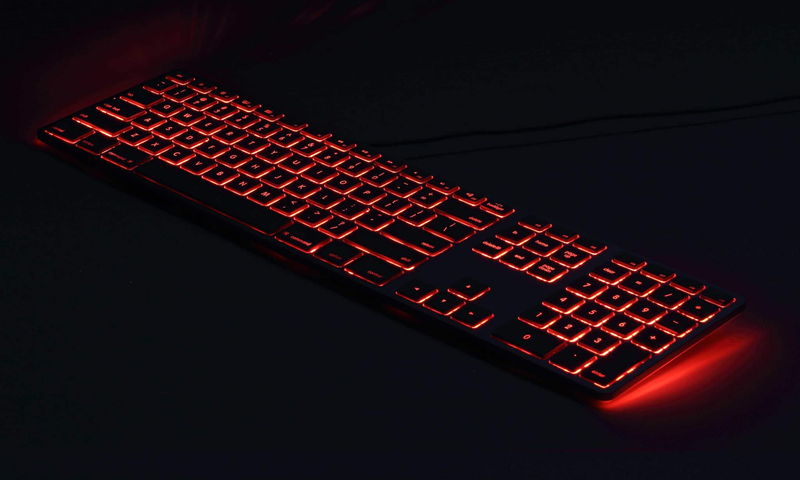 Non-Reflective Finish: The RGB Backlit Wired Aluminum Keyboard features a matte anodized finish which eliminates reflection and glare. It also means fingerprints are not visible. 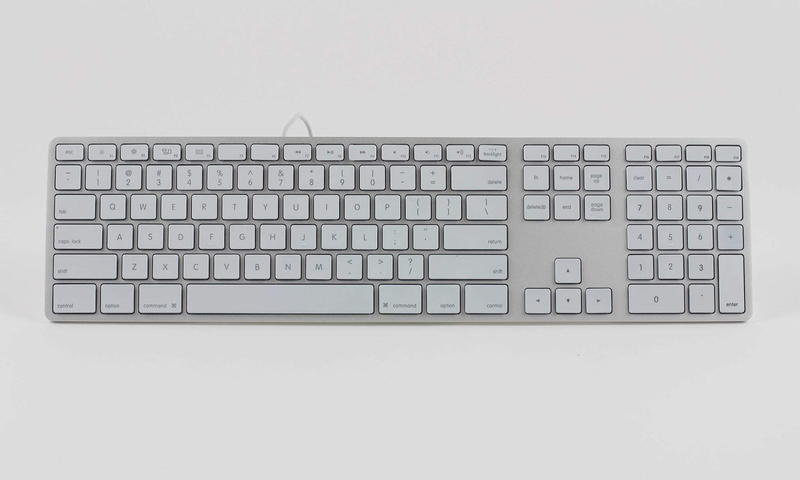 Mac-Friendly Function Keys (Mac only): Common Mac functions such as screen brightness and volume control are easily accessed. 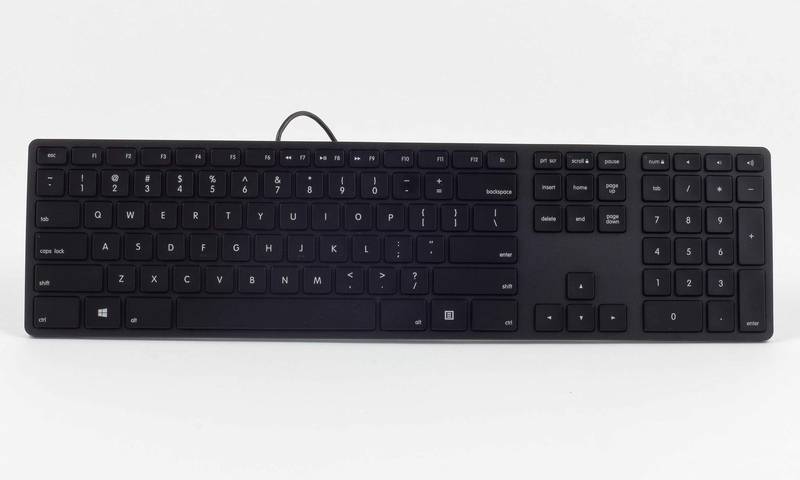 Users who require the traditional F-Key functions can temporarily access these using the "fn" key. 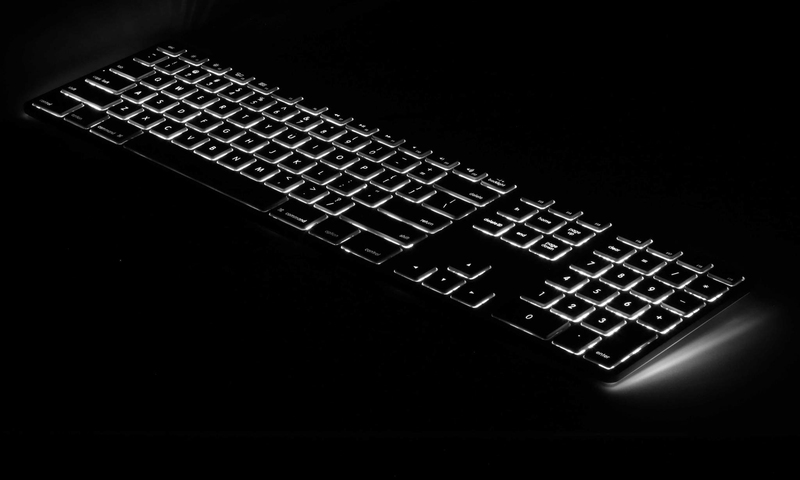 Sturdy Aluminum Housing: The upper housing on the RGB Backlit Wired Aluminum Keyboard is made of aluminum which ensures strength and rigidity.